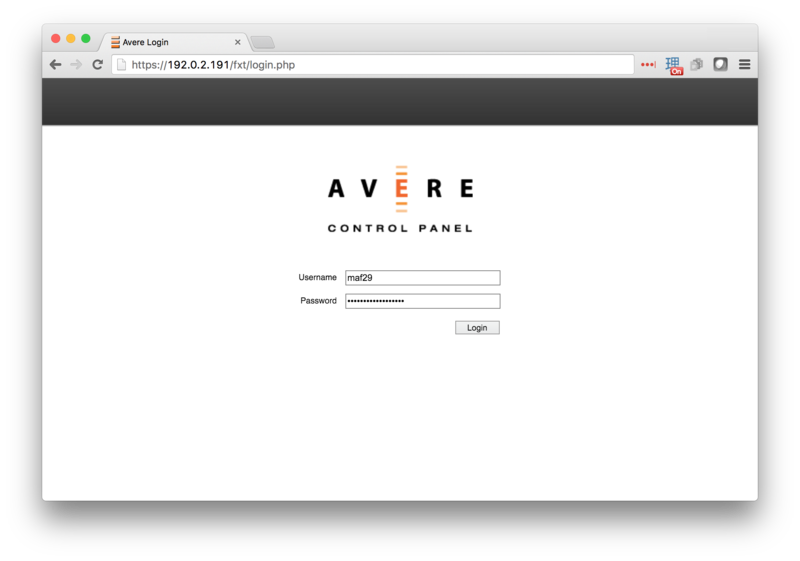 This page gives a basic overview of an Avere cluster, and describes how to get started configuring a cluster by using the Avere Control Panel. 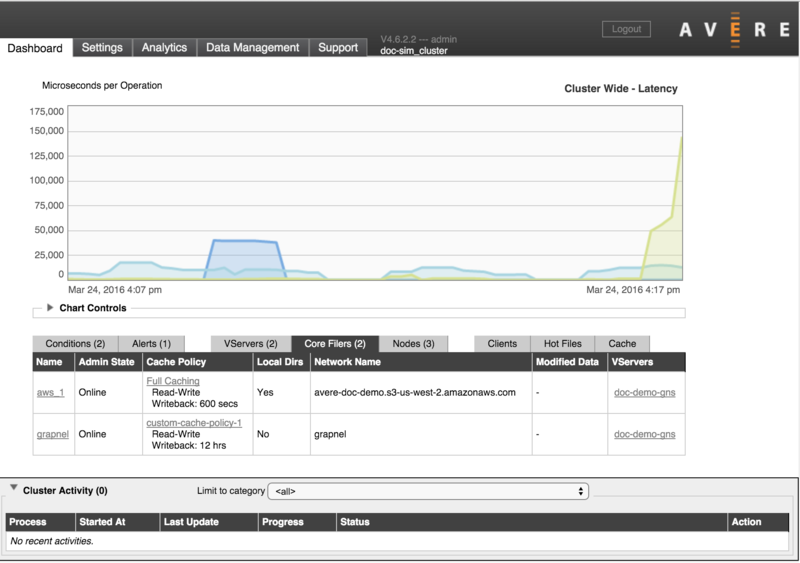 It also assumes that you have an Avere cluster installed and configured as described in the Avere Quick Start Guide. Individual user accounts can be set for read-only access or administrative access. With an AD server, you can create a group named AvereAdmins to automatically give administrative privileges to certain users. Any user in AvereAdmins is assumed to have full access privileges. You must create this group in your AD server manually. Detailed documentation about the Dashboard section is being developed. Detailed documentation about the Analytics section is being developed. Detailed documentation about the Data Management section is being developed.